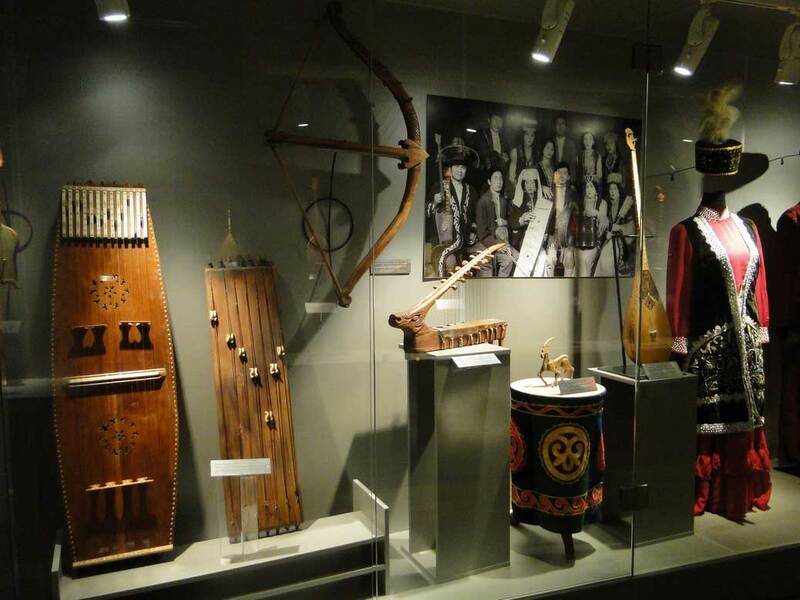 This article is dedicated to all who are interested in the history of the Kazakh people, ancient legends, traditions, and charm of the oriental fairy tale. Absolutely all of us know that the history of emergence and rise of our country as a sovereign, independent state is more than one hundred years. At the same time, it cannot be called peaceful or consistent, because the tribes, that for centuries roamed in the boundless steppes in the heart of Eurasia, suffered from a lot of disasters, wars, constantly moved; for many years they were dependent from Russia, they were oppressed by Dzungars, Oirats, Chinese... The interethnic marriages also took place, the external ethnic appearance changed, but the nomadic spirit of the Kazakh people has remained and continues to live in the great steppe open spaces up to this day. Many caravan routes passed here, civilizations arose and disappeared leaving behind magnificent landmarks of history and architecture. But still it is the Golden Horde, a medieval state that gained independence in 1266 and in the early 1320’s made Islam its state religion, that can be called the progenitor of modern Kazakhstan. That was its territory, where 136 years later the Kazakh Khanate was founded, uniting all the nomadic tribes of the Kazakhs under its wing and brought peace to the troubled steppe. In the 16th century, the number of people united by the Khanate reached one million people! It was a strong and prosperous nation that had seen and suffered a lot for almost 400 years of its existence but still managed to be reborn into a beautiful modern country with rich history into our independent Kazakhstan. Of course, the centuries-old history could not but leave behind the edification for the descendants in the form of landmarks of architecture preserved since the time of the Golden Horde. 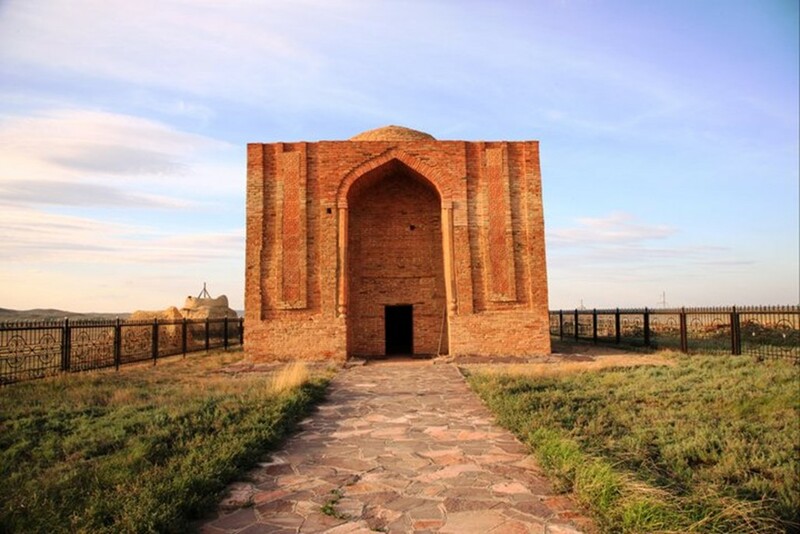 One of the oldest landmarks, dated back to the early Middle Ages (the 11th – 12th century), is the Alash Khan Mausoleum, the most famous predecessor of the Kazakh tribes. His fame resounded throughout the steppe, there is even a belief that the division into zhuzes appeared precisely by his decision. Many modern nations (Bashkirs, Kyrgyz, Karakalpaks) and Kazakhs consider him to be their progenitor. The mausoleum itself differs significantly from many other medieval constructions, a similar architectural style is a great rarity for Central Asia. But it is because of this very style the building looks monumental, solemn, and very impressive. The accurate proportions, small amount of modest decor, powerful hexagonal columns, a deep arch - this is a sort of oriental flavour with steppe severity. Very impressive sight. You can get there by car, you can watch and make picture of the landmarks of architecture completely free of charge; the main thing is to be ready for a trip in the arid steppe and under the scorching sun (during the hot season). It is the most beautiful here in spring when the steppe blossoms and the air filled with aroma of herbs literally mesmerizes you, and the effect enhances with the magnificent building a dozen of centuries old. 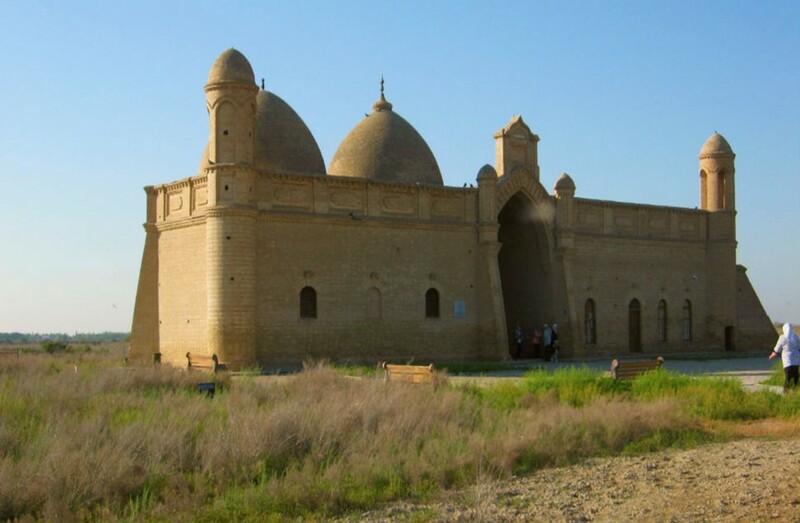 The mausoleum is located two kilometers away from the right bank of Karakengir River, there is a village of Malshybai in Karaganda region nearby. You can easily go there and ask locals the best way to go, to buy food or even national delicacies. Despite the fact that Alasha Khan and Jochi Khan are completely different personalities, some historians continue to seek confirmation of the opposite. But while there are no compelling reasons to say that it was the same person, we will tell you about the Jochi Khan Mausoleum. It was erected over the grave of the eldest son of Genghis Khan himself, the great commander and conqueror. Being the beloved son of his formidable father Jochi received the most of all lands and fame when the conquered estate was divided. But, unfortunately, when he was between his 30s and 40s he was struck down with some affliction and died six months before Genghis Khan. It was then that this magnificent mausoleum began to be built, even modern builders are shocked with the quality of its bricks (the secret of their production has not been uncovered as yet, but there is a legend that clay for these bricks was kneaded with koumiss and the bricks were burnt using tail fat!). The building of the mausoleum is a powerful portal dome structure shining with its sky-blue dome and deep red and brown color of the burnt brick in the light of the scorching sun. At the entrance you are greeted by a high portal decorated with tiled plates, and the herringbone masonry only adds even more monumental look to everything. One can feel the breath of antiquity inside. The light comes through the hole in the dome; but despite the lack of windows it is light and not scary at all here, but on the contrary you feel tranquil somehow. You can go up the stairs to the left of the entrance and enjoy a wonderful view, such as it was almost a thousand years ago, as our nomad ancestor saw it. You can get there as part of the excursion group or on your own by car. It is located on the left bank of Kara-Kengir River, 55 kilometers to the North-East of Zhezkazgan city or 12 kilometers from the Sarykengir state farm. 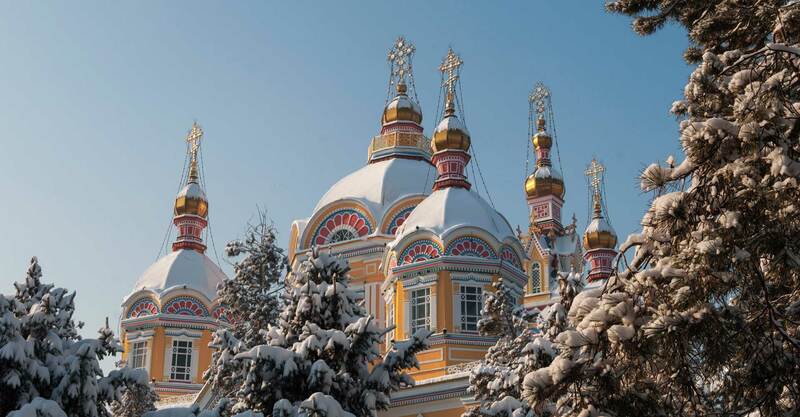 The excursion tour can cost you 10 to 15 thousand tenge; if you can go by car then the costs will be minimal, but then you will not be able to listen to the interesting history of this place and folk legends told by the guide. The Khoja Ahmed Yasawi Mausoleum is rightly considered to be another incredible cultural landmark and an architectural pearl of medieval architecture of Central Asia. It was even added to the UNESCO World Heritage List since it is the only one of the four structures of Timur the Lame that survived in the form it was built in the 14th century! In addition, during its construction there were used the most progressive and innovative solutions of architects of the time that laid down many new constructive methods and formed that peculiar architectural style of the late Middle Ages. 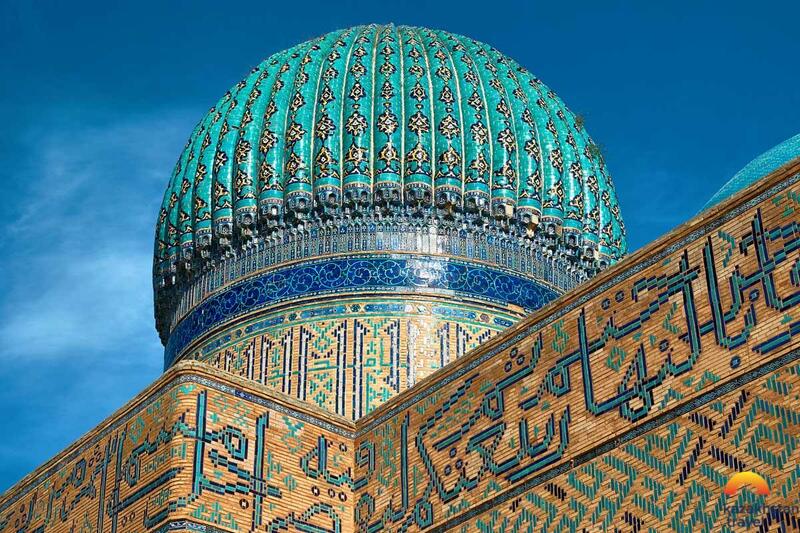 The skilled craftsmen from all over the empire of Temuchin were invited to construct it; the names of some of them came down to us on various parts of the decoration and fixture of the mausoleum. The structure building is as luxurious from the inside as it is monumental and rich from the outside. Here we see silver inlaid door hinges and heavy bronze lamps, and even a huge bronze vessel for water. The oriental decoration here strikes with its restrained charm just as the number of halls for various purposes (36 in total): for meetings, debates, rituals, joint readings, and also there is a library, a washbasin, a refectory and cells for those who live in the shrine. 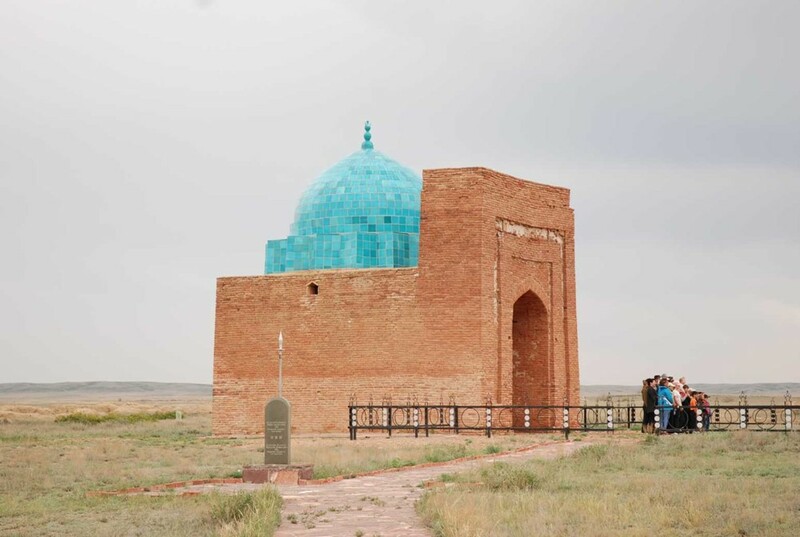 The mausoleum is located in modern Turkestan city in the Southern Kazakhstan region. You can get there by a bus or a fixed route taxi-bus from Altyn Orda bus station, the distance is about 3 km. This will be quite a budget option with a minimum of expenditure since the entrance ticket costs a little more than the bus fair, which is about 200 tenge. But how many impressions you get! Everyone, who has visited there, notes that from the first minutes they saw the mausoleum they seemed to go several hundred years in back enveloped by the oriental fairytale. The history of the Khoja Ahmed Yasawi Mausoleum is closely connected with the shrine of Arystan Bab, because it was he who was the spiritual and religious mentor of Yasawi. He played a crucial role in bringing Yasawi to the divine knowledge so he was able to found the largest Sufi community in Central Asia. 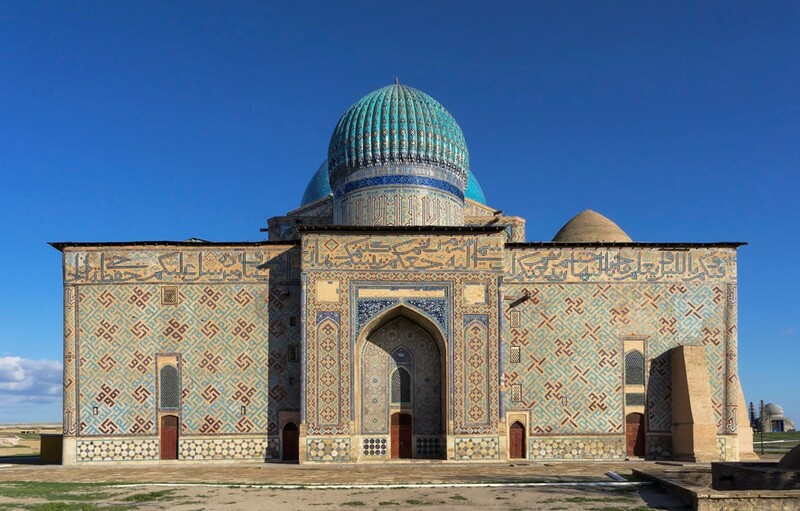 As many legends have it, the repeated attempts to construct the mausoleum for Yasawi were unsuccessful and repeatedly failed, but Timur was then told in a dream that initially he had to pay tribute to Arystan Bab because without him there would not have been his disciple who brought the light of Islam to the steppe. Then, in the 12th century the mausoleum was built. But it did not survive in its original state to our days. First it was destroyed by the Otrar disaster, after the 15th century the reconstructed building fell victim to an earthquake, in the 13th century it was reconstructed but collapsed again. And only in 1971 it acquired the form in which we can behold the mausoleum now. The majestic building made of burnt bricks, the main facade is decorated with minarets, ornamental masonry, and a deep lancet arch. It consists of the burial vault itself, where the relics of the saint are kept, and the commemorative mosque. It is here that all the pilgrimages to the Yasawi Mausoleum start because first of all one must pay tribute to Arystan Bab who was his mentor. You can get to the mausoleum from Shymkent city because the excursion tours and just public transport routes are arranged from there. The entrance ticket costs symbolic money so the main expenses will be exclusively travel and accommodation. Perhaps, the history of the erection of this mausoleum can be called the most beautiful, romantic, and tragic at the same time. It is shrouded with legend and magic, families from all over the country and the world come to this day to ask for peace, long love, and harmony. As the old legend has it, once upon a time there lived Aisha Bibi, a daughter of the rich Khakim-ata, and Karakhan, the leader of a not too noble kin. As soon as they saw each other, they fell passionately in love, but the girl’s father was against such an alliance. Karakhan returned to his homeland in sorrow, and the young girl, unable to withstand the anguish of parting, fled under cover of night from her father’s house with her nanny Babaja. When the misconduct was uncovered the father cursed the lovers, promising that they would never be together. And so it happened, at the end of the journey the girl got bitten by a poisonous snake. Karakhan rushed to his beloved as fast as he could and the lovers united in matrimony. After that Aisha Bibi died, the grief stricken Karakhan erected a magnificent mausoleum for her that stuns everyone who sees it with its beauty and exquisite architecture. Every morning Karakhan would bring 5 scarlet roses declaring his love to Aisha until he died. He ordered that his mausoleum was to be built in such a way that he would be able to see the tomb of the beloved even after his death. Nowadays the newlyweds of Taraz city and the adjacent areas traditionally visit the mausoleum of Aisha Bibi and Karakhan on the wedding day, sincerely believing that in such a way they help them to exchange messages and receive the blessing for a long and happy marriage. This is a wonderful tradition, that fills the heart with warmth and faith in true love, attracts a lot of travelers as well, therefore it is rare when the place around the mausoleums is empty. 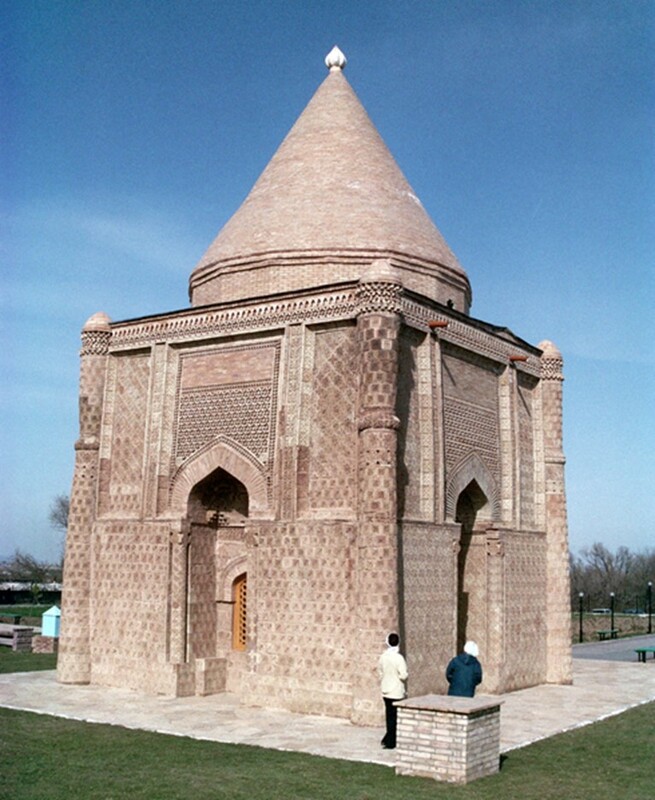 The mausoleum is located 18 km away from Taraz city in Aisha Bibi village in Zhambyl region. You can get there on your own, but be prepared that the road will not bring you much joy. You can also go with the tour and then you will have the opportunity to visit several shrines. It all depends on your finances and capabilities. Of course, it will be more budgetary to travel by car because visiting shrines is almost free and all expenses will be only for road and food. But then you are missing something interesting because excursions are arranged to show and tell the travelers as much as possible. This article is dedicated to all who are interested in the history of the Kazakh people, ancient legends, traditions, and charm of the oriental fairy tale. Marvelous dome structures, arches, minarets, skilful patterns, ornaments, and graphic symbols as if descended from the pages of One Thousand and One Nights... they simply fascinate travelers and make them return to these holy places again and again. Do not neglect our list if you are going on a trip to our wonderful country. Believe us, if you visit at least one of the above mausoleums, you will do whatever it takes to see the rest.